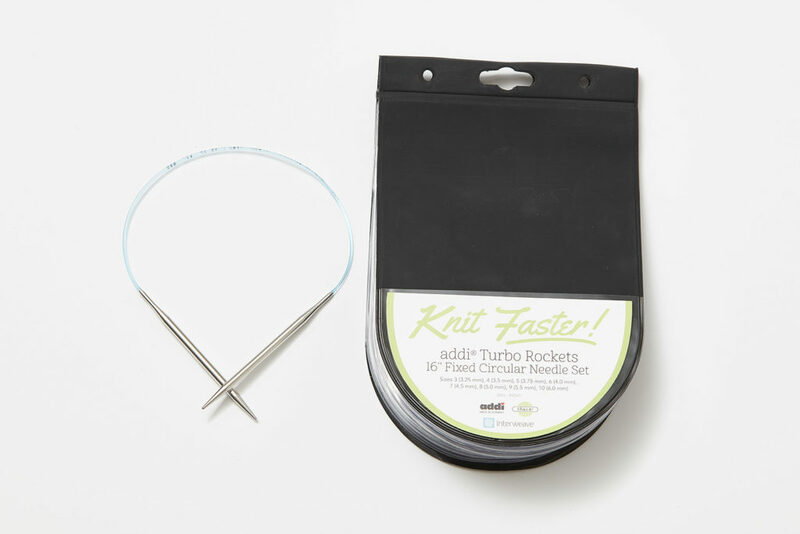 Get Zooming with addi Rocket Fixed Circular Needle Sets! Every knitter has had that moment. You get home from your LYS with a bag full of yarn. You’ve been itching to cast on that new project for weeks. You’ve stalked the project notes on Ravelry, carefully chosen the perfect yarn, and now you’re ready to swatch. You dig through your needles to find the right size, and then dig some more. Fear and doubt make you break into a sweat. You were sure you had the right sizes and the right cord lengths, but they’ve gone missing! This has happened to me more times than I care to admit, and it’s infuriating. If you’re anything like me, you have A TON of needles. I’ve been knitting for well over a decade—which is a lot or a little in comparison to others—and I’ve amassed quite the needle collection. 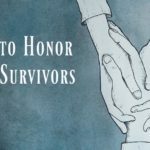 Some of them are trapped in hibernating WIPs, lost, buried, or on loan and forgotten. When faced with digging through old projects to harvest the needles I need to cast on, my zeal for a new project quickly turns into disappointment. 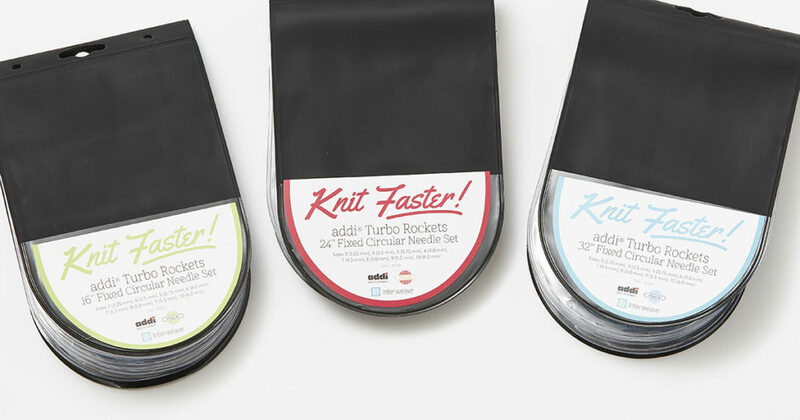 A solution to this problem entered my life in the form of my favorite knitting needles: addi Rocket. 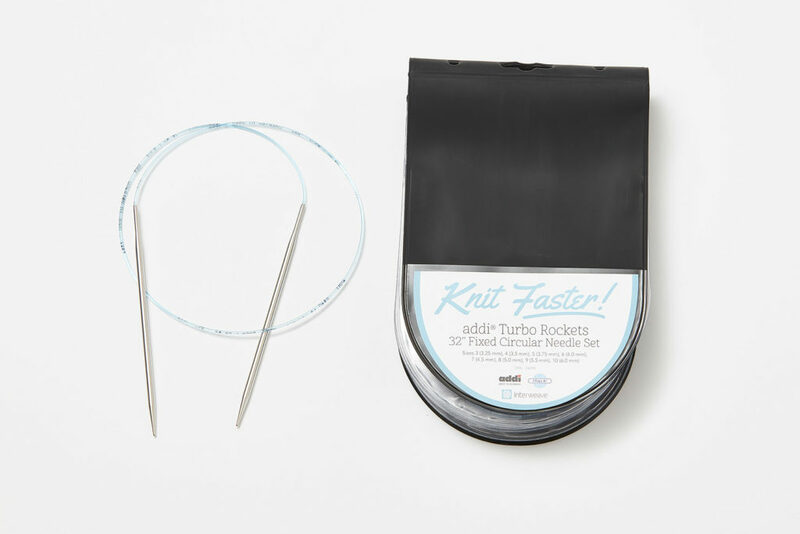 When I started at Interweave, I was introduced to our custom addi Rocket Fixed Circular Needle Set with 32” cords and sizes ranging from U.S. 3 to U.S. 10s. That size range covers most sweater projects and comes neatly bundled in its own special case. It’s a one-stop needle shop! 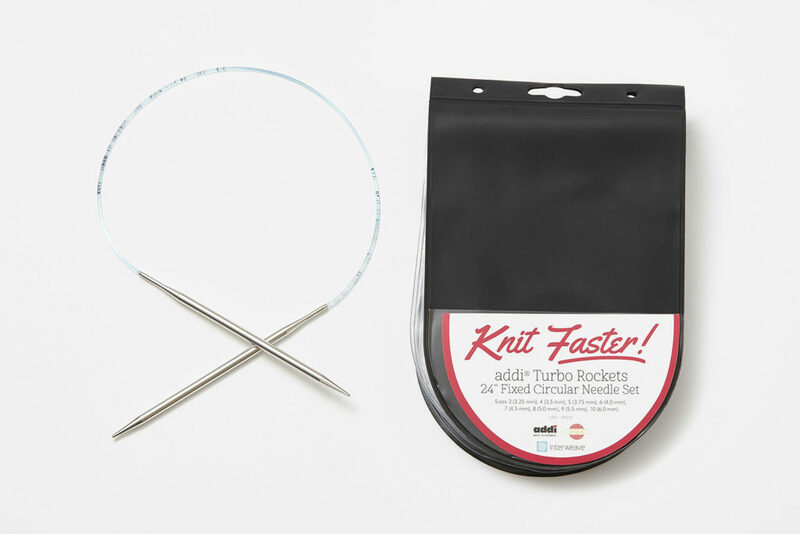 These knitting needles make my heart skip a beat—the tips on the addi Rocket Fixed Circular sets are just pointy enough for cables and lace but not so pointy that they hurt your fingers, and the slick coating on the barrel lets me zoom along. I’m a speedy knitter, especially since I switched to Continental style, and these needles have significantly increased my already speedy speed. As a knitwear designer, I appreciate anything that helps me crank out a new sample as fast as possible. But as much as I love my addi set, there’s always been something missing. I’ve never been satisfied with just the 32” fixed cord set. What about necklines knit in the round? Cowls? Scarves? Children’s and babies’ sweaters? A 32” cord is great for adult sweaters and blankets, but we need more cord lengths, right? Now my 32” cord addi Rocket Fixed Circular Needle Set has two new friends: 24” and 16” addi Rocket Fixed Needle Sets ranging from U.S. 3s to U.S. 10s. With these new sets, I’ll hopefully never have that “oh no” moment again before I start a new project. Hopefully.